Monster Energy/Pro Circuit Kawasaki’s Austin Forkner had a huge crash yesterday in the second 250 moto at the Washougal National. Early in the moto, Forkner was trying to scrub horsepower hill when his front tire clipped the jump and he went down hard. He was on the ground for a while before he was able to stand on his feet and exit the track. He did not finish the moto. Racer X’s Jason Weigandt checked with the team after the race and they said he was sore but not seriously injured in the crash. 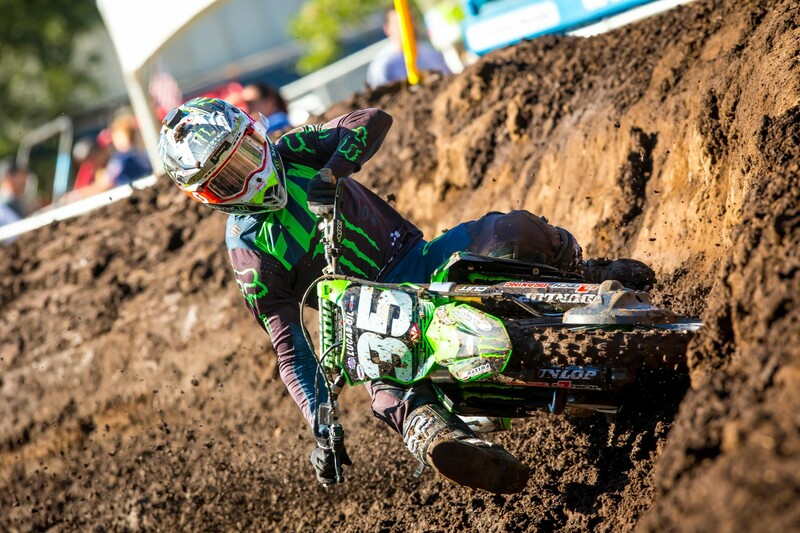 Forkner finished second in the first moto on Saturday and was running third in moto two when the crash happened. We’ll continue to update this post as we know more.